Gorgeous 180* views of the Gulf & beach with unique, wrap-around balcony! - Our dedicated and hard working housekeeping teams are some of the best along the Emerald Coast! hands down one of the best views in the panhandle of FL! Older unit but furnishing are in good shape- largest floor space of any 2bed we have stayed in. The master bed Right beside the elevator what was great as there was no noise for others. Speaking of noise- this property was quite for the most part even during spring break- well patrolled by onsite security. We are so happy y'all have such a great time and enjoyed the views!!! 5 STAR stay from a 5 STAR guest, couldn't ask for more. We are so happy you found everything to be convenient. Please keep in mind, we offer a repeat guest discount. The view from this condo is amazing! We love that you enjoyed the condo and views. We hope you consider us in the future for any rental needs you have, so we can try to earn that star and make your stay a 5 star visit. Keep in mind that we do offer a discount for returning guest. Exceeded our expectations. Very clean, smartly organized and we were pleased to find the property so well maintained. Ideal Location. Not far from...anything! Shopping & Dining...close. Safe accessible parking....right there. Golf, putt-putt, basketball, trails, pool...right there. Freshwater fishing in the back....Saltwater fishing in the front. Quiet main Elevator only 20 feet from the front door. Easy access to the pool and the ocean or wherever your feet take you....and some security features providing a safe family environment. Interior was perfect for our group. More space than anticipated in the main den & master bedroom. I loved the mattress in the master...I'm actually buying something similar now because of the one in #4314. The panoramic view of the Gulf and the Beach was amazing and something we really never got used to. Much time I/we spent on the wrap-around balcony enjoying the view from #4314. Oh, and the breezes...they were nice too. So peaceful. Only pausing to take chairs and coolers and towels and a safari worth of stuff to the beach at the request of my family. But Hey the elevators were so close and I used a baggage cart so no worries! My family and I appreciate the prompt, professional and courteous manner with which the staff at Gibson Beach Rentals handled our reservation and stay. We look forward to next time. Wow! What amazing stay you had, and 5 STARS too! We couldn't be more thrilled that you had such a great trip with us. We strive to ensure all guest have an amazing experience. We value all our guest, so keep in mind, we offer a repeat guest discount! Exactly as described, perhaps better. Very clean and well maintained. Ideal location, roomier than expected and a view to remember. Our family will book this property again without question. Such a fabulous review! We're thrilled y'all loved the condo. It sounds like you've found a perfect getaway spot, especially with the 'view to remember'. Thanks so much for the review, we appreciate it! We hope to have you visit again soon. We were very pleased with our stay at Beachside II. Our unit, 4314, was very comfortable, clean, and stocked with everything we needed. Kudos to Gibson Beach Rentals for exceptional service and overall attention to every detail. We would definitely stay here again!! Thanks for the kudos, they're greatly appreciated! 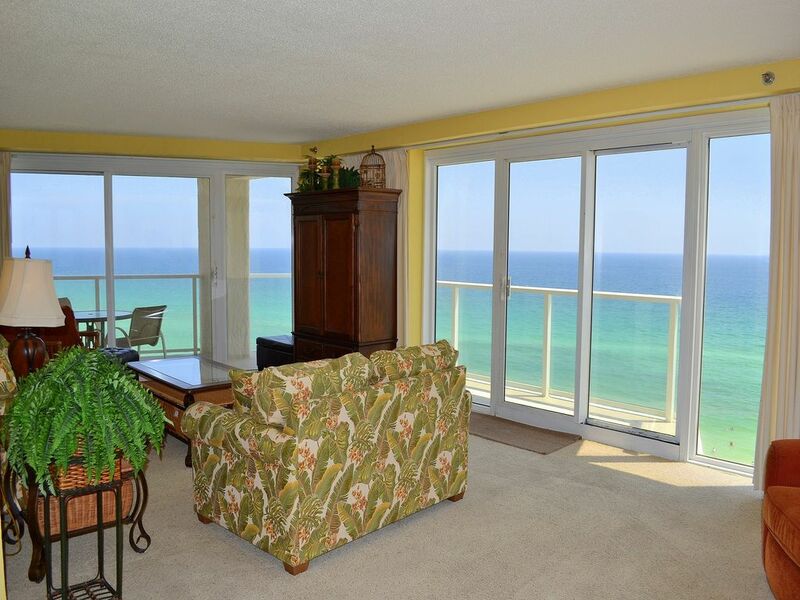 We're thrilled y'all loved the condo and your time spent here on the Emerald Coast. We can't wait to have you back again soon! Be sure to mention our repeat guest discount on your next visit. Great Place, awesome unit. Very happy we chose this location and unit. How wonderful?! We are thrilled y'all loved the condo and your time on the Emerald Coast. Thanks for the 5-star review, we appreciate it. Be sure to mention our repeat guest discount on your next visit.